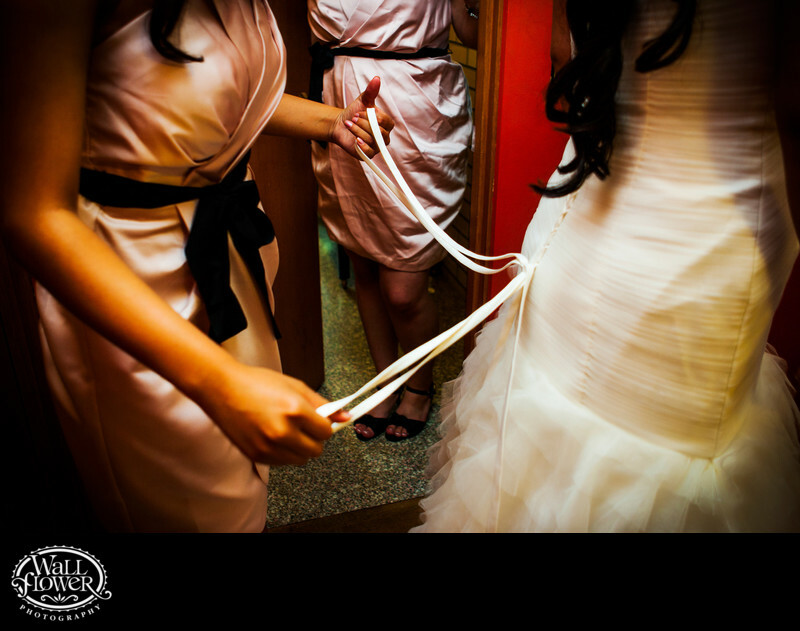 The lacing up of the back of a bride's wedding dress often makes for great candids, and this one zooms in tighter on the action to make it more of a detail photo. The setting is the second floor of the house at Rock Creek Gardens in Puyallup, where the bride and bridesmaids usually get ready before their wedding ceremony. To see lots of photos of weddings photographed by Wallflower Photography at this venue, visit our Rock Creek Gardens wedding portfolio website at www.rockcreekgardenswedding.com.